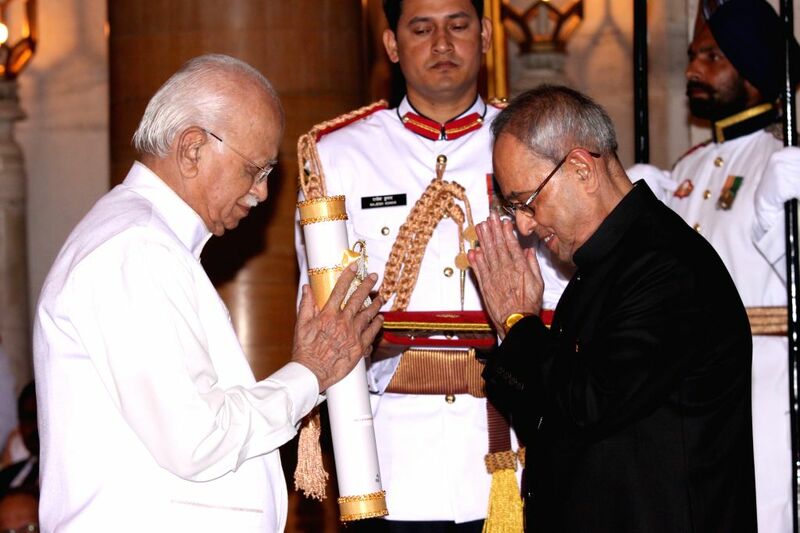 New Delhi: Veteran politician and parliamentarian L K Advani during a Civil Investiture Ceremony where he was conferred the Padma Vibhushan Award by President Pranab Mukherjee in New Delhi on March 30, 2015. 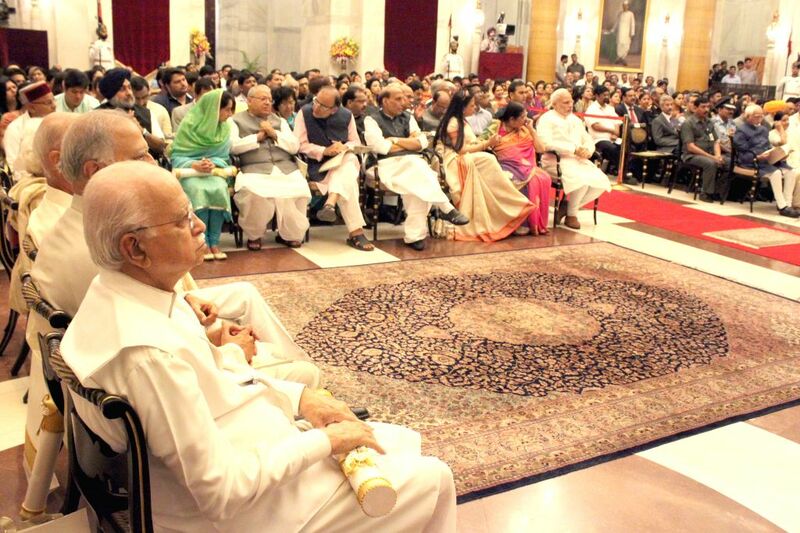 Also seen Prime Minister Narendra Modi, Union Home Minister Rajnath Singh, Union Minister for Finance, Corporate Affairs, and Information and Broadcasting Arun Jaitley and others. 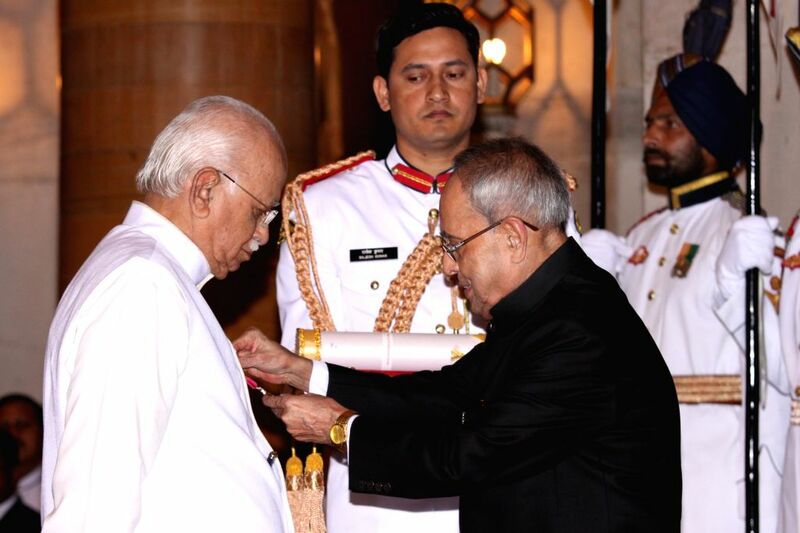 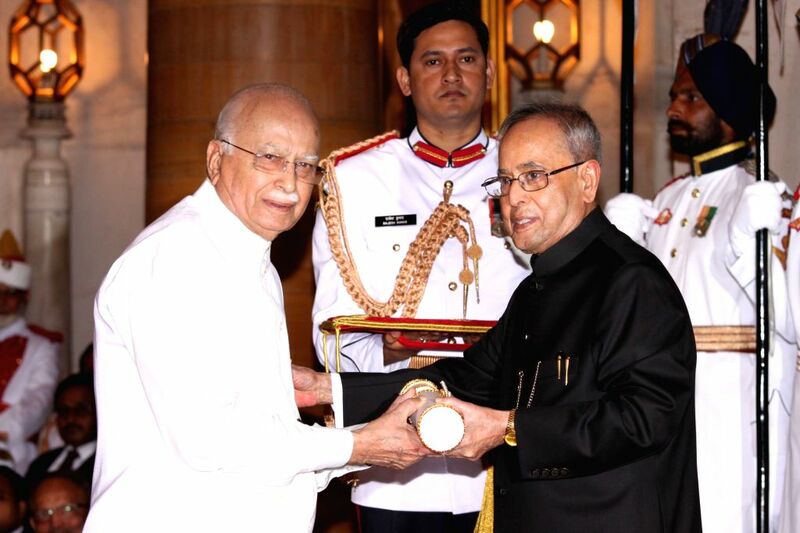 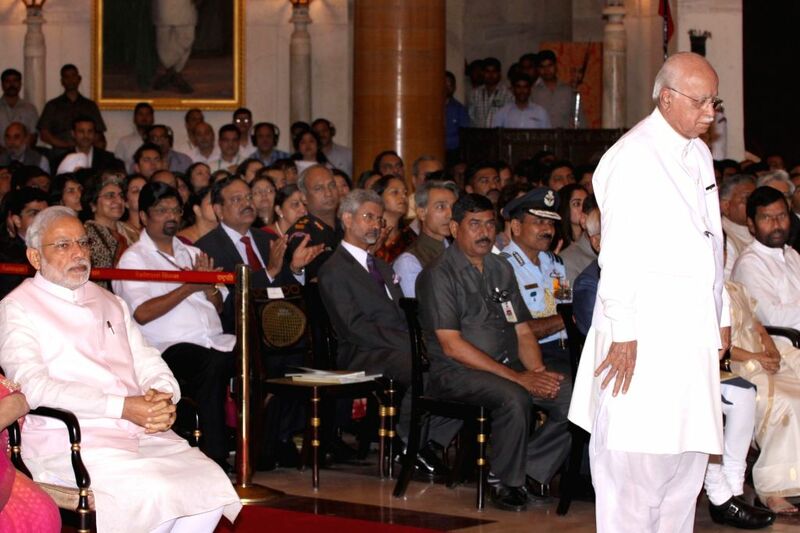 Veteran politician and parliamentarian L K Advani during a Civil Investiture Ceremony where he was conferred the Padma Vibhushan Award by President Pranab Mukherjee in New Delhi on March 30, 2015. 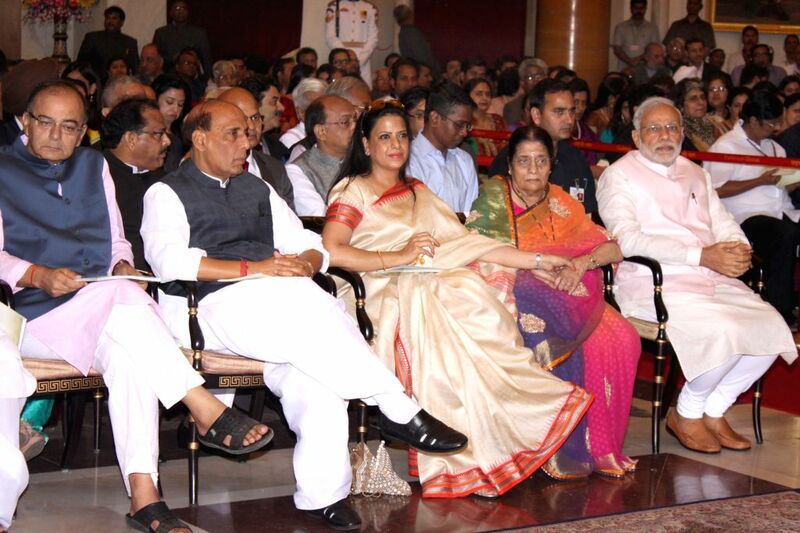 Also seen Prime Minister Narendra Modi.